Due to it’s proximity to Whistler & the Rockies, when people typically ask “how many days should I spend in Vancouver?” often the answer includes the time heading out to those places. Of course no trip to Vancouver would be complete without also venturing to those places, but how long do you need to dedicate to the city of Vancouver itself? So you’re in Vancouver & chances are it’ll rain (in which case skip to the Vacations itinerary). But if luck is on your side and the clouds hold out, the best thing you can possibly do on a decent day in Vancouver is spend the day in 400-hectare (1,000 acre) Stanley Park, the city’s crown jewel. You can ride around on bike (highly recommended), get on a horse drawn tour, visit the aquarium, totem poles, talk to the wildlife, sit on the beach, walk under the Lions Gate bridge, there really is enough things to see to fill in the majority of a day. 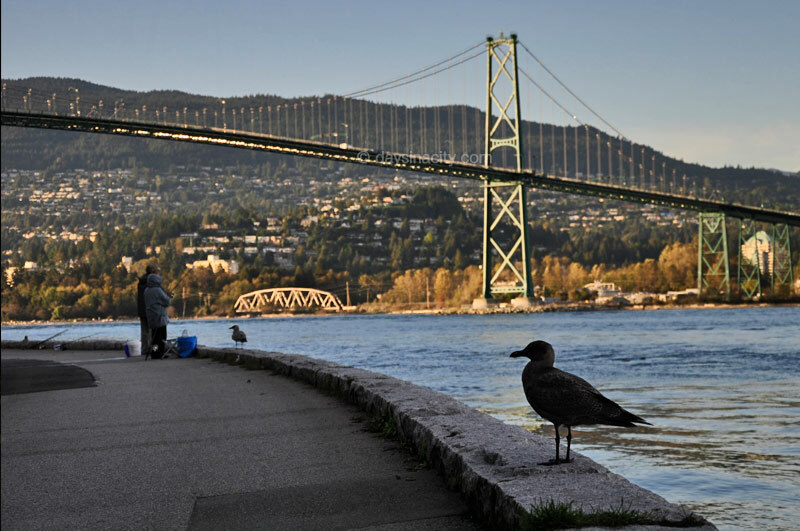 One of the most popular things to do is walk along the eawall which goes all the way around the park in a 9km loop and going underneath the Lions Gate Bridge. The park is bigger than you can imagine so it’ll take a few hours even to cycle around. Another popular spot is Prospect Point for fantastic views of the bridge and North Vancouver. After a fun filled adventurous day outdoors, if you’re not completely exhausted the city’s West End district is close by where there are plenty of good places to eat and explore. In the morning, head to North Vancouver. 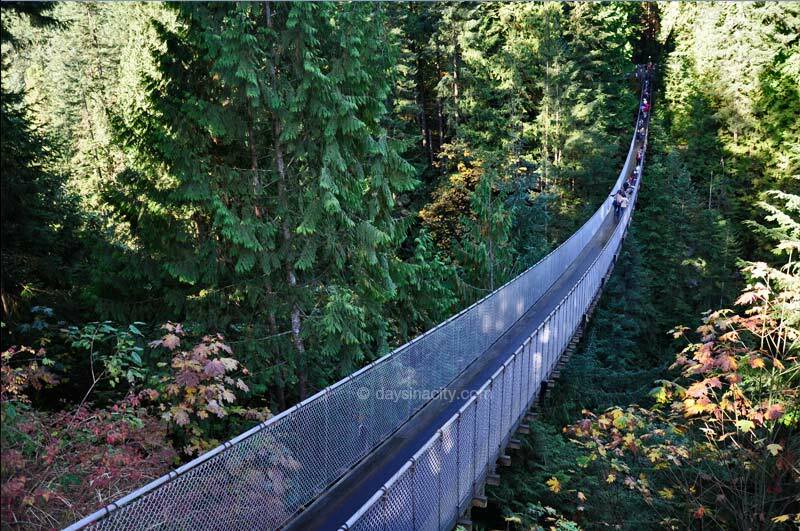 There is much debate whether the Capilano suspension bridge is more worthwhile seeing over Lynn Canyon. Capilano is more expensive, but that’s because it’s also more impressive (and touristy), so you can decide depending on your budget. Capilano does offer a free one-way tram from Canada Place which makes the journey easier to organize. In the afternoon, a very popular attraction is Grouse Mountain but I wouldn’t recommend it for anyone traveling on a budget. A return trip on the gondola is rather expensive at $45pp. You’ll hear that there’s an alternative, going up the Grouse Grind, but take note it’s not a ‘hike’, it’s a ‘grind’…a steep & hardly enjoyable vertical incline for a few hours only recommended for the ultra-fit. 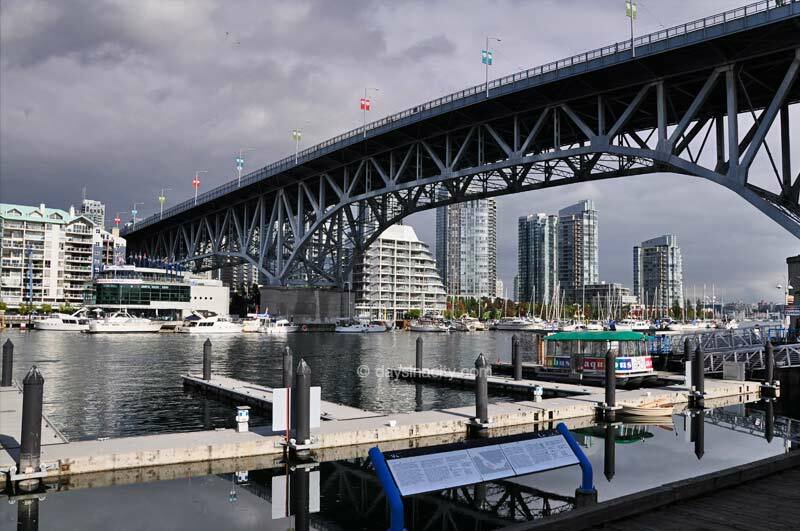 If it’s raining or if neither of these sound suitable, spend the afternoon instead downtown starting at the 2010 Olympic cauldron near Canada Place. After seeing the harbor from Canada Place, walk quickly thru the touristy & over-hyped Gastown and check out Chinatown where there’s two beautiful Chinese gardens. The smaller one is free, the other neighboring garden is Dr Sun Yat-Sen’s Classical Garden. A good place to head in the early evening is Robson St, one of the main streets in downtown which is well known for it’s shopping (most shops are open late) as well as many trendy restaurants. Follow the globetrotters and vacationers itineraries for days 1-2. For those who are interested in arts, crafts and food, the Granville Markets on Granville Island is worth a visit. There’s tons of food stalls and funky/arty shops to fill in an hour or two. You might like to catch a water taxi there or back to make the trip more scenic. On the way back, the Vancouver Public Library is a sight to see for it’s amazing architecture inspired by the colosseum in Rome. Not far from there is the Vancouver Art Gallery featuring national and international contemporray art. On the other hand if you consider yourself a geek, there’s Science World. How many days should someone on holidays spend in Vancouver?